Many of us are looking to write memories—either in the form of literary memoir or simply to record family history, in order to pass down stories to children or grandchildren. In Freeze Frame: How To Write Flash Memoir I look at memoir in small, bite-size pieces. Not all at once, but in small bursts of flash. Flash is a relatively new genre. Other terms for flash include: Sudden, micro, postcard, short shorts. The roots of flash lie in the vignette or scene. There is no widely accepted definition for the length. Some journals are asking for no more than 100 words. Six Minute Magazine is looking for quality fiction that can be read in under six minutes. The upper limits of flash might be 1,000 words. Much of what I love about flash is about living in the moment. Capturing and seizing a point in time. Freeze framing it—much like a Polaroid snapshot. Memoir can be defined as autobiography that uses novelesque or literary devices. Perhaps it is better to say that memoir is autobiography that relies less on chronology and facts and more on telling a story. I like to treat the page like a friend, like a sounding board, or what the poet Frank O’Hara has described as unmade phone calls. The Internet actually makes it easy to record one’s life: Instagram! Facebook! Twitter! No matter what it is called or how you view it, the writer needs to be able to slow down, turn off the critical, and turn inward. EXERCISE: Where you are at, right now, whatever you want to call it: blog, journal, prayer, an unmade phone call, twitter, tweet—send one out. Write it, the flutter on your heart. No more than 500 words. Read the headlines: ever wonder what’s behind them. The newspaper is full of real stories that at some point might alter or connect with our own story. Think tsunami, school closing, threat of e. coli in lettuce. Ernest Hemingway had a background in journalism where he was embedded in several wars and learned to write concisely and yet place the reader there. EXERCISE: What’s in the news? Using a headline as a prompt, write a flash. This can be strictly memoir or you can take any headline and place yourself there as a reporter. Write about what affects you—your flash might also be written as an opinion (op-ed) piece. Much of memoir is about ordinary life. Despite the fact that nothing important ever happened to you (I’m assuming), if your story nudges the reader to remember, then you will connect. People are interested in ordinary stories if they have the smell and feel of authenticity. An honesty that resonates. A skillful writer will use words like blood, injecting life into a story—and visa versa a story into life. EXERCISE: Compose a flash built around your to-do list. Even if you think you have lived a boring life, all of us have anecdotal moments, snapshots that if freeze-framed and cropped can offer entertainment/education/refuge for fellow readers. 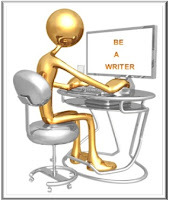 Is Thinking About Writing, Well Writing? Karen, I haven't heard of this genre but I like it. I try to keep my blog simple because we are accustomed to sound bites of information to ponder. Thanks for sharing this guest post. It seems to fit nicely into my style. I like the idea of composing a flash around a to do list. Thanks Jane. some of my favorite topics have been flashing about first times--the first time you tasted Coca-Cola, the first time you flew in an airplane, your first apartment. Oops .. posted by Karen; written by Jane. My apologies! Three terrific exercises that not only stimulate writing and provide great starters but also encourage economy and produce a complete, submittable piece of work. Jane, thanks for guest blogging with us. This is great information on flash writing. I'd never heard of flash memoir before. Thanks for breaking it down and providing exercises. Thanks everyone--way more material in the ebook Freeze Frame--hope the post inspires. Keep in touch! 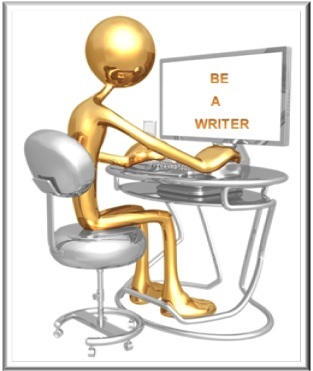 Mary, I just followed your link here from today's post (Why Write a Memoir? by Heidi). I don't remember reading this one at the time, but I read it now and followed your link in THIS post to the six minute magazine. What fun! I'm going to post more on this topic in my next slot as by then I'll have more to say. :-) Thank you for the links! Are You Productive or Just Very, Very Busy?